That's right! It's finally here! Choose between PDF and PDF+Print. 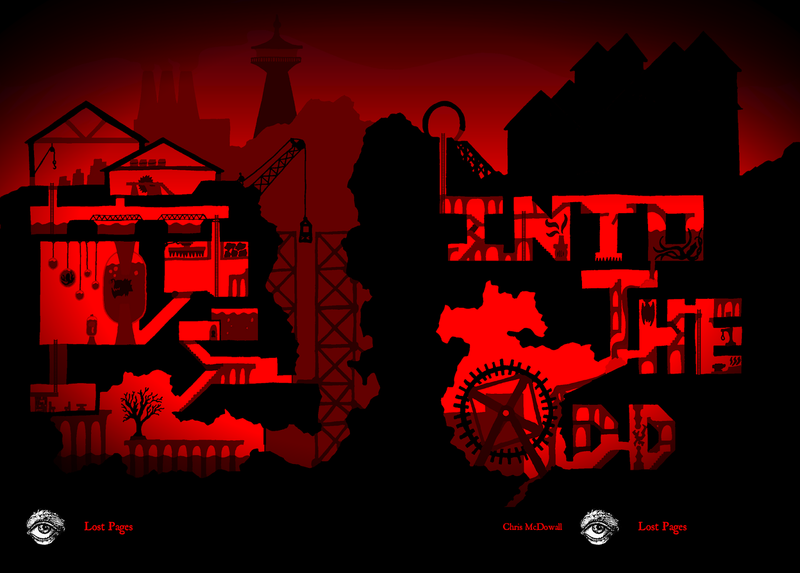 Into the Odd contains everything you need to create a character and explore an industrial world of cosmic meddlers and horrific hazards. This is a fast, simple game, to challenge your wits rather than your understanding of complex rules. You seek Arcana, strange devices hosting unnatural powers beyond technology. They range from the smallest ring to vast machines, with powers from petty to godlike. Beside these unnatural items that they may acquire, your characters remain grounded as mortals in constant danger. Original artwork from Jeremy Duncan, Levi Kornelsen, and others. Player rules that fit on a single page, keeping a focus on exploration, problem solving, and fast, deadly combat. The complete guide to running the game as Referee. From making the most of the rules to creating your own monsters and Arcana. Sample monsters, arcanum, traps, and hazards. Rules for running your own Company, and taking it to war with an original mass combat system. 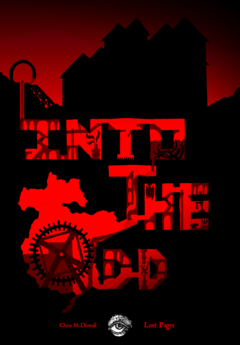 Complete guide to the Odd World, from the cosmopolitan city of Bastion and its hidden Underground, through to backwards Deep Country, the unexplored Golden Lands. Choose between PDF and PDF+Print. Printed copies are shipping out in January. To make up for the delay getting Into the Odd released, have three pages of stuff that didn't fit into the game. Tired of playing regular explorers? Give these three new character types a try. Put this dungeon wherever you need it to be, but in my game it'll be hidden away in the Golden Lands, requiring an expedition of significant distance from civilization. This is one of those dungeons where your weapons aren't much use for anything, and I don't explain the true nature or origin of the place. 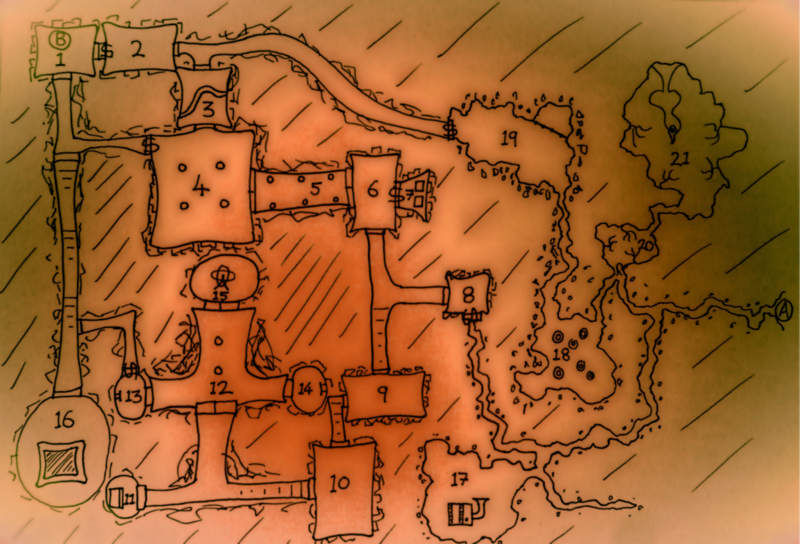 Charged Walls: The walls in this dungeon are dull copper, audibly humming and releasing the occasional visible spark. Anyone touching the walls, or being connected through conductive material, takes d6 damage, ignoring armour, continuing for each turn of contact. The floors and ceiling are white stone, which does not conduct the charge, but give off a faint glow. The natural caves in the eastern half of the dungeon are not affected. A: A natural cave entrance high on a steep cliff face. Leads into an extremely tight tunnel that requires crawling to navigate. B: A collapsed well shaft that drops straight into 1. Wandering Encounters: Roll d6 whenever the group move to a new area, loiter, or make a lot of noise. On a 1 they encounter something, on a 2 they get a clue that something is nearby. 1: Magnetic Surge: A sudden magnetic force pulls metal towards Room 15 for a moment. 2: Static Crash: Deafening static noise effectively deafens the group for the next d10 minutes. They group cannot communicate by talking for this time. 3: Gravity Distortion: Roll d20 and multiply by 10. Gravity functions as this percentage of normal for the next d10 minutes. 4: d6 Charge Imps: STR 8, DEX 14, WIL 5, 2hp, Shock (d6, ignore armour). Driven by curiosity. Immune to physical attacks. Electricity causes damage as normal. 5: d4 Charge Men: STR 10, DEX 12, WIL 10, 5hp, Shock (d8, ignore armour) Driven by desire to keep people out of the dungeon. Immune to physical attacks. Electricity causes damage as normal. 6: Charge Hulk: STR 16, DEX 5, WIL 10, 14hp, Shock (d10, ignore armour) Driven by desire to be left alone. Charge Beings: These creatures all similar in nature. They are immune to physical attacks, but electricity or other energy-based attacks cause damage as normal and eventually causes them to disperse in a flash. They resemble humanoids composed out of pulsing blue light, flowing plasma, with flashes of lightning sparking from their body. If they leave the dungeon or the connected caves their form collapses entirely. They are sapient and speak in a buzzing language that you do not understand. They are not innately hostile, but are impatient and easily frustrated. Spark Keys are copper rods with a square cross-section. They give a harmless spark when pushed against a target, but their intended purpose is to deliver a small charge to various doors or chests, which unlocks them. Any device requiring a Spark Key to activate will have a square hole clear to see, where the key should be pushed. After a successful use the Spark Key is depleted. Any electrical spark will serve the same purpose if no spark keys are available. Immediate room contents are listed. Contents in parentheses require further investigation to discover. South: Stone Doors to 4. North: Stone Doors to corridor. North: Stone Door to 3. East: Stone Doors to 5. East: Stone Doors to 6. West: Stone Doors to 4. West: Stone Doors to 5. North: Door to stairway up. West: Door to stairway down to 10. North: Door to stairway up to 9. West: Door to stairway down. Large Copper Sphere (hollow, can be entered through rear, closing the door activates the machine causing d12 damage each turn to the being inside. Upon death they are converted into a Charge Man, retaining their free will, but being unable to leave the dungeon. The machine can be stopped opening the door from the outside, but a discharge causes d6 damage to all in the room, ignoring armour). South: Double Doors into 12. North: Stone Door to Stairway Up. North-East Corner: Iron Prison Bars (contains a colossal skull, looks reptilian, single eye-socket, 25s of coins thrown in over floor). West: Pile of collapsed ceiling rubble (concealing a stone door to a corridor). South West: Tunnel to 18.